The Kurpfalz-Bavarian court official Johann Lambert Gregory Reichsfreiherr of Babo (1725-1799) was a city clerk in Mannheim and Weinheim in Baden-Württemberg. He was the founder of the family of the barons of Babo, which produced several important wine-growing professionals. His son Lambert Joseph Leopold von Babo (1790-1862) began to study law, but soon switched to agriculture and settled down as a landowner in Weinheim. In 1832 he founded the Pomologist Johann Butcher (1789-1852) the agricultural club garden. Here mainly seeds were bred and tested. He wrote as an agronomist and oenologist some important works such as "The Wine and table grapes the German vineyards and gardens "(1836 with butcher)," the vine and its varieties "(1844) with the varieties of the time, as well as "The main principles of the agriculture" (1851). 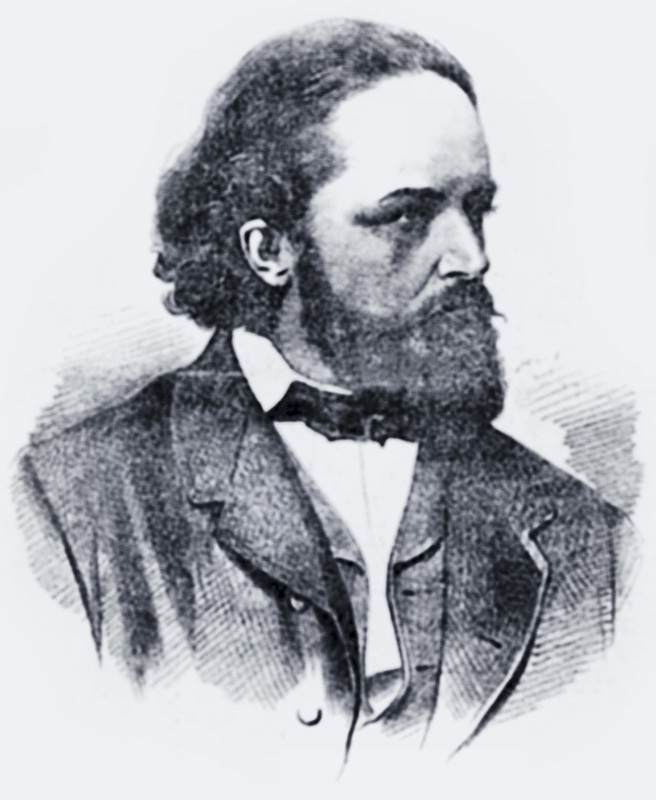 In 1869 he founded the first regularly published wine journal in Austria "Weinlaube". It exists as "Austrian wine newspaper" still today. Later, he brought out a wine calendar, which also appears today as "Austrian winegrowing calendar". He became known and famous for his lectures, often referred to as "field fairs", in which he passed on his extensive knowledge to winegrowers. On his many travels through the countries of the monarchy, he collected practically all grape varieties (1869 there were over 60) and made many attempts. In the years 1881 to 1883 he wrote together with his son-in-law Edmund Mach (1846-1901) the "Manual of viticulture and the cellar economy", which became the standard work for several generations of winegrowers with five editions. In 1867 Babo got from his friend Jakob Ludwig Schiebler, formerly Ebermann (1810-1882), the horticultural director in Celle-Hannover as a true Danaergeschenk an assortment of American grape varieties. Babo immediately started experimenting with it. At this time, there was already the first alarming news from France about the phylloxera but no one knew then that the pest had come across the pond with American vines. In January 1870 appeared in the "wine arbor" a first report on phylloxera and in the same year, the first damage occurred in Klosterneuburger vineyards (you even know the location, it was on Liebertsacker, the so-called "Yellow Bank"). One has this Babo later - as one infested the fact of causing the plague American vines had recognized - wrongly accused and accused him of having introduced phylloxera in Austria. It was downright to "wine revolts" against him and his institution, when the first vineyard clearings were ordered by the state and many hewers were destroyed. At times he had to make the way from his apartment to the institute under gendarmerie protection, to be safe from the rage of the angry winemakers. Babo took up the fight against phylloxera. But all measures, such as petroleum and carbon disulphide injected into the ground, or the construction of fine-meshed nets over the vineyards to trap the airborne lice, were unsuccessful, too costly and too costly. Almost all of the vineyards in Klosterneuburg were already infected by the pest in 1880 and had to be cleared for the most part. As an alternative, Babo encouraged the cultivation of tobacco plants and tomatoes (Austrian Paradeiser). But that also failed because one did not even know tomatoes in Wien at the time. However, another initiative was very successful, Babo promoted namely the cultivation of ribisl (currants) and cherries for the production of wine. In the year 1874 the situation was already so dull that a "Reblauskommission" was established, which had to detect the Reblausherde. Then came at this time from France, finally, the solution of the problem, namely the grafting of European noble rice on American rhizomes, the so-called finishing, In 1876, Babo and the Klosterneuburg Institute recommended that local winegrowers use this procedure in general. At the asylum were 2,000 cuttings of the American variety Taylor created and multiplied and this documents provided to the communities. This page was last modified at 3 December 2017 at 08:29.